On December 21, 2018, the Public Procurement Commission invited all heads of Procuring Entities to a discussion meeting on the Draft Rules of Procedures of the Public Procurement Commission. In addressing the purpose of the Draft Rules, the Chairperson explained that the rules will guide how the Commission operates as it carries out its constitutional functions. As such, when approved by Cabinet, the rules are then expected to become operational guidelines under the Procurement Act. Ms. Elias- Roberts, the Consultant, engaged by the Commission to prepare the draft rules, spoke briefly on the core functions of the PPC – monitoring, investigating complaints and the power to create specialized committees. 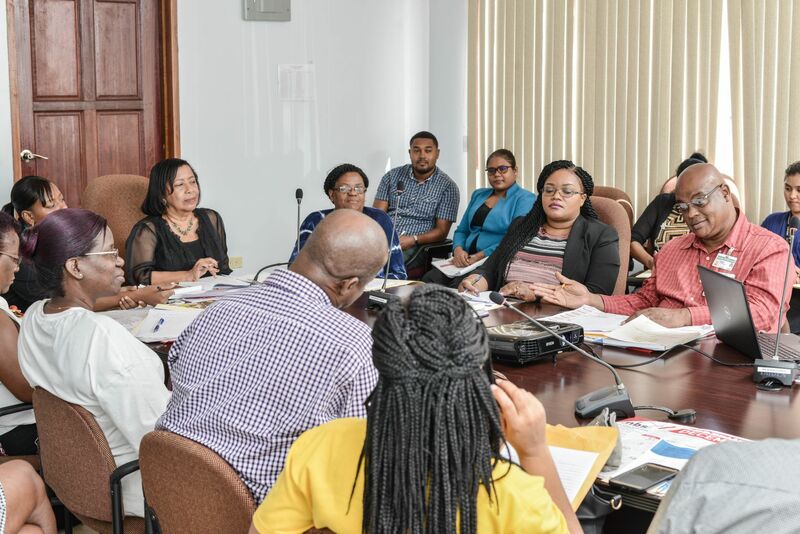 The Consultant observed that based on a comparative analysis of legislation across the region, Guyana is unique because the Public Procurement Commission was established by the Constitution and is therefore part of the Supreme law. The Consultant noted that in order to give effect to its monitoring functions, certain powers to obtain information and conduct site visits were required, which were now contained in the draft rules. Further, it was reiterated that the rules were basically aimed at streamlining the functions of the Public Procurement Commission in order that responsibilities for particular actions in relation to the public procurement system could be clearly outlined. Ms. Elias- Roberts noted that sanctions should be put in place when entities fail to provide certain information without justification or exercise undue delay. Therefore, apart from drafting the rules, recommendations were made for either the repeal of or amendments to the existing Procurement Act to include certain sanctions to give ‘teeth’ to the powers of the Commission to allow it to effectively undertake its functions.